Coca-Cola merchandise collectors | Badudets Everything Nice! 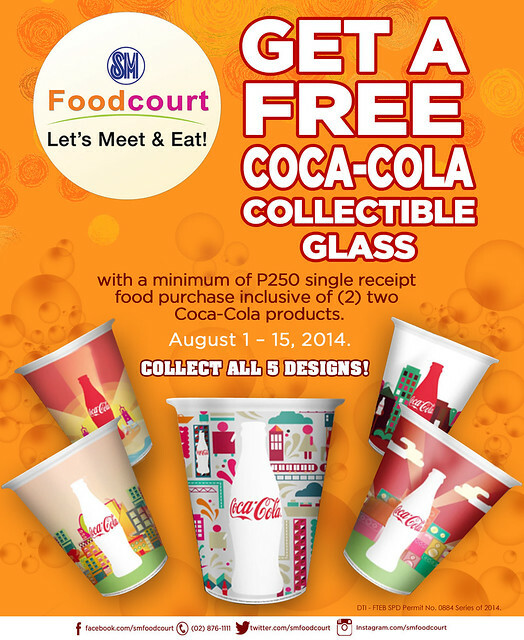 Good news to Coca-Cola merchandise collectors out there! For every Php 250 single receipt food purchase with 2 Coca Cola products at any participating store at SM Food Court nationwide, you’ll get one Coca-Cola Collectible Ceramic Mug. There are 5 designs so you better hurry because this promo is until August 15, 2014 only.